Simpsons restaurant in Edgbaston Village on the Calthorpe Estate, will be celebrating its 25th anniversary this year. 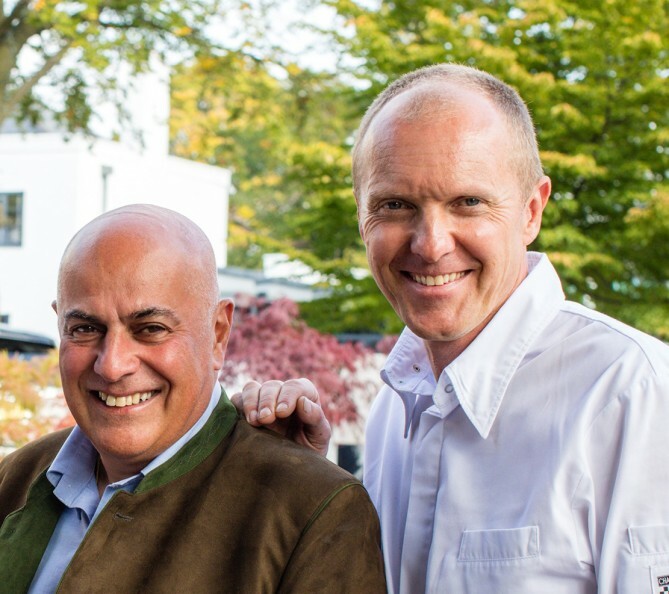 The restaurant, owned by chefs turned restaurateurs Andreas and Alison Antona and led by chef director Luke Tipping, first opened in Kenilworth in 1993 and secured its Michelin star in 1999. It was among the first in the Midlands to do so and still maintains the star today. It is the longest standing restaurant in Birmingham to hold a Michelin star, the restaurant moved from Kenilworth onto the Calthorpe Estate in 2004. During 2015 it underwent an extensive refurbishment, which saw the extension of the main dining area, the creation of a outdoor seating area in addition to updating the décor of the Grade II listed building. Since it opened Simpsons has been the training ground for many young chefs and restaurant professionals, many whom have moved on to run successful restaurants in their own right. Among the restaurant’s protéges are Adam Bennett, Andy Waters, Glynn Purnell, Jerry Toth, Marcus Eaves and Matt Cheal. dishes from the past 25 years, special offers, collaborations and masterclasses in Simpsons recently opened Eureka Kitchen. The anniversary follows another great year for Simpsons. In 2017, it was ranked top Birmingham restaurant in both the Waitrose Good Food Guide and the Square Meal Top 100, Luke Tipping was awarded the British Culinary Federation’s Louis Cipolla Chef Award and Luke Turner won the Young Chef of the Year award.